CrossFit Oakdale lost a friend today. Ericlee Gilmore lost his brief battle with cancer this morning. I met Ericlee through the originally small competitive CrossFit circuit in 2010. I’m a cynical guy, healing and it’s rare that you run into someone that is actually as earnest and caring as they appear. Ericlee was that man. He cared deeply about others, prescription dedicating years of his life to the people of Haiti and the ministry that was founded by his grandfather. Ericlee held various fundraisers for Haiti, many of which CFO athletes attended and participated in. Ericlee brought his family to CFO from Fresno to participate in the final WOD of the 2012 Open. Ericlee made the long drive to Oakdale only to hop out of the car and bang out some thrusters and pullups, PR’ing his 12.5. You may have seen Ericlee competing at last years Franniversary with my good friend Andrew Williams of CrossFit Walnut Creek. I’m willing to bet one of those guys had a supportive word if you were anywhere near them. Ericlee is survived by his wife Dorina and three young daughters, Zayla, Giada and Meilani. As events develop to help the Gilmore family, I will share them. Ericlee will be missed, rest in peace brother. 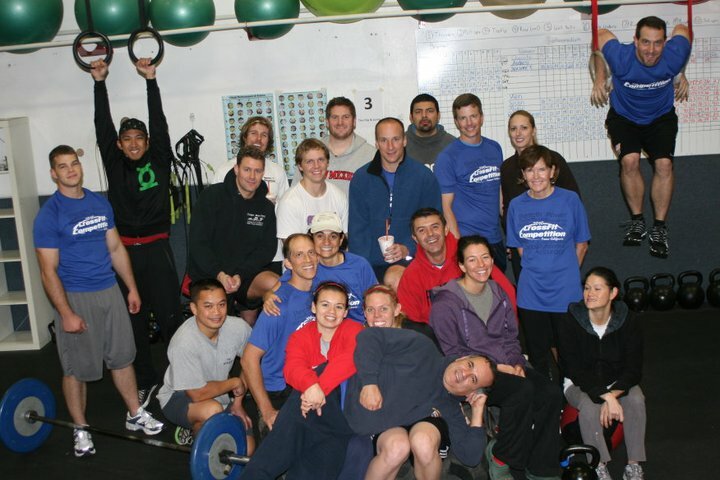 At the Haiti Decathlon at CrossFit Combat Fitness in 2010. Ericlee is seated beneath me, and his wife, Dorina, is wearing a white hat. Add 5# to last week. This is our 12th and final week. Bring it!